Who is the CU*Answers Imaging Solutions Team? The CU*Answers Imaging Solutions Team puts some serious talent in your corner! Have questions? Contact the Team! One eDocument Strategist with 15 years experience working eDocuments exclusively in the credit union space. Two dedicated programmers working on Imaging Solutions. One Account Executive with years of CU*BASE systems experience, leading on implementations. One Account Executive with 10 years experience in data center operations, leading on support. How are they helping you with your Imaging Strategy and what’s the difference they guarantee? Are you doing your due diligence? This team has created imaging solutions that are an inherent part of your core data processing system. They’ve accomplished this by having their eDocument strategist and programmers work directly with the VP of Software Development for both CU*BASE and the It’s Me 247 online and mobile banking suite. Together they have created two solutions that fit hand in glove with your core processing tools to make your imaging solution an integral part of your day-to-day operations. Beyond the software tools, this team will follow through with the same exceptional release documentation, training and implementation processes you’ve come to expect from CU*Answers, to prepare and equip you to leverage the release. They ensure you don’t fall behind and that the features will work for you. Obviously, this can’t all happen without your participation. There are requirements for your participation in making your imaging solution top notch and all you wish it to be. No matter which solution is right for you, we have experts that are here to help. We will work with you to find a solution that meets you needs. Below is contact information for the experts that can help you get started! 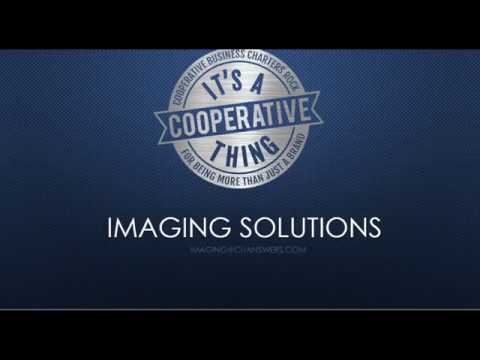 See what Imaging Solutions has to offer! Imaging Solutions products are now available to order in the store.